As has been the case for the past few years, SnowShoot 2013 found us once again in West Yellowstone, Mt. I know I’ve said it before, but West continues to be a great place to spend time during the winter. The town really does know how to cater to snowmobilers and we found the trails well maintained and the locals more than happy to have us invade their little slice of Heaven on Earth for a few days of riding. As is always the case, the OEMs rolled out the welcome mat for us. Day 1 was spent in several hours of tech meetings where each of the OEMs went over the changes, improvements and new additions for the 2014 model year. Think 10-15 journalists in a presentation where we get the new info laid out for us and then we get to bombard the presenters will all manner of questions about what we have seen, heard and wonder about. And as you might also expect, by the end of a long day most everyone involved is tired of talking and really wanting to ride… so for the next few days that’s exactly what we do. Out of the Ski-Doo camp this year probably the biggest news is the release of the 900ACE motor. I will be honest in saying I wasn’t expecting much from this motor, I’ve not been overly ‘wowed’ by the 4strokes lately. Well, about 5 minutes in to my first ride on the 900ACE and I was ‘wowed’. Ski-Doo is targeting the 90’ish hp level sled with this new motor and doesn’t have much competition in that area. The Yamaha Phazer is the only other 4stroke in about this hp range and I honestly think the 2 sleds are targeted at different riders. 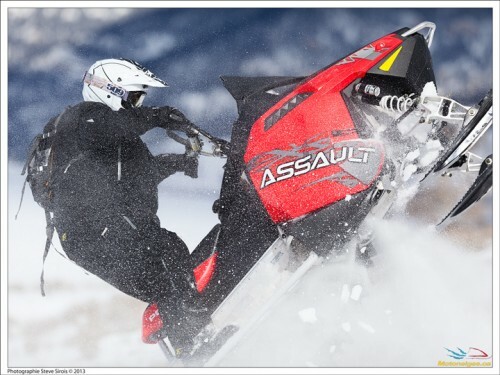 Ski-Doo really is pushing the 900ACE into a broad segment, with the motor being available in the MX Z, Renegade, GSX, Grand Touring and Expedition lines. The motor works very well, with instant off idle response and good power. The other thing that gets paired with the 900ACE is the new electronic Intelligent Throttle Control. This is a new throttle-by-wire system… no more throttle cable running from the bars down to the intake, its all controlled electronically. It also allows for an interesting system of 3 different driving modes that can be controlled by a switch on the console as well as changed based on a programmable tether. The 3 modes are sport, standard, and ECO mode. Think of them as different ‘limiters’. Sport has not limiting, standard controls acceleration rate somewhat and ECO limits torque and top end to offer the most fuel efficient operation. You can also use the learning key tether which is programmed to limit top speed which is an immediate hit with those looking to help a novice (new rider or young rider) learn how to ride without the intimidation that can be overwhelming to new riders. I found the 900ACE, in each of the platforms, to be a great package. Of special note, I should make mention of the Grand Touring 900ACE. It is equipped with the new SilentDrive System. 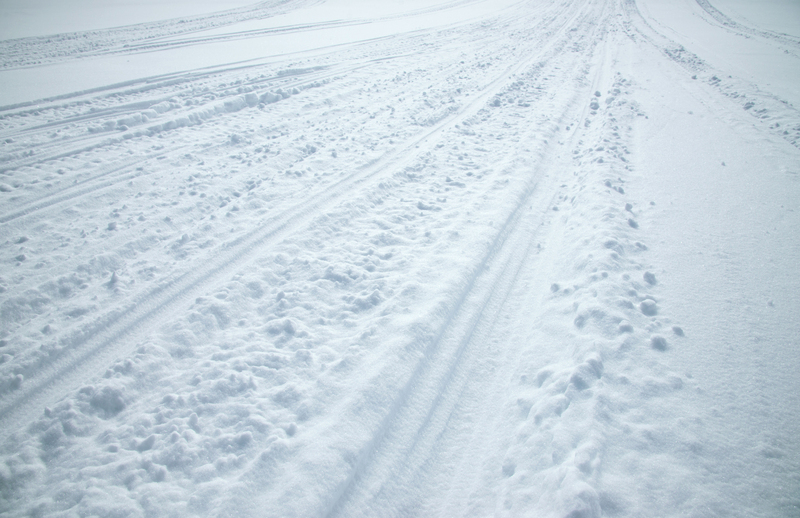 Ski-Doo claims 65% less track noise and 70% less vibration felt at the feet. I don’t know how to verify those numbers, but we ran it next to a standard 900ACE and it was almost shocking how much quieter and smoother the SilentDrive system really is. Across the rest of the Doo line-up the MX Z and Renegade lines get broader use of the Rev-XS platform and changes to the bar controls. The Summits get some new gauge improvements, the Summit SP with the E-TEC 600 gets the Rev-XM chassis and the tMotion rear suspension and Pilot DS 2 skis are added to the Summit Sports. The Freeride moves to a Rev-XM platform and the 146 and 154 track models get the tMotion rear while the 137 track keeps the rMotion. And I especially like the new White/Grey/Manta Green color combo on the Freeride. And finally, the rMotion, a terrific suspension as we have found over the past 2 years with our Renegade, is now standard on all GSX sleds and on the Ground Touring SE and LEs. 2014 for Polaris could easily be called “The Year of the Indy”. Now not all the news from Polaris lies in the expanded Indy line-up, but the majority of it does and it’s a welcome chunk of news. We spent much of last year on an Indy 600 and have nothing but smiles to show for it. 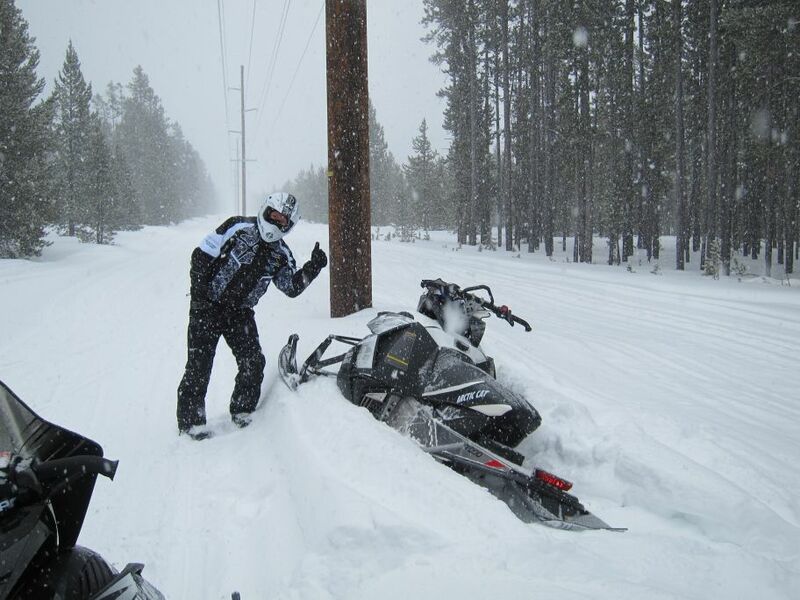 So when Polaris rolled out the expanded Indy line in West Yellowstone we had to agree that it was a good move. 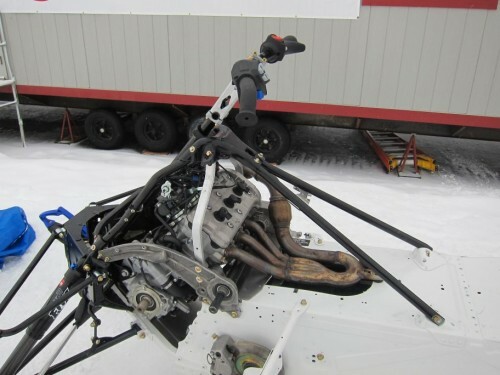 For 2014 we get Indy’s with 550, 600 and 800 engine packages firmly in the PRO-RIDE chassis riding on either coupled or uncoupled rear ends depending on the model. All 550 based sleds from 2013 were moved into the PRO-RIDE chassis which resulted in a 50+ pound weight drop right out of the box. Yes, you read that correctly, 50 pounds. 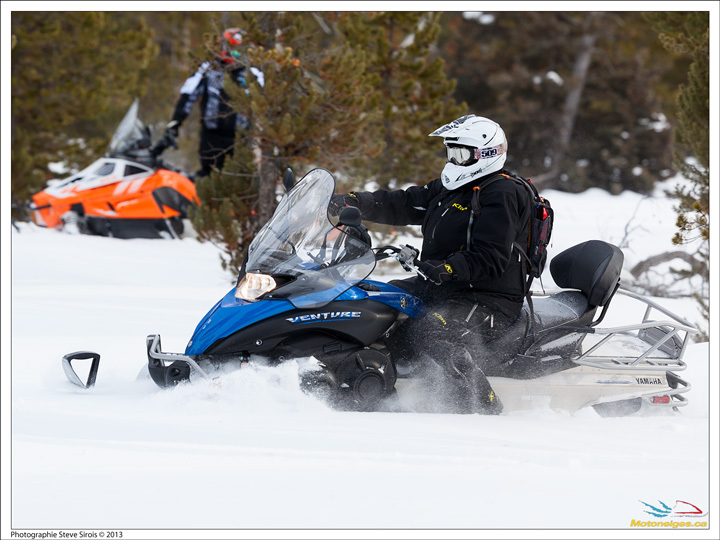 Now hold on to your hat, here is a list of the Indy sleds available for 2014… 800 and 600 SP, 600 and 550 Indy, 550 Indy 144 (me thinks this is a good entry level mountain sled), 550 LXT, 550 Adventure, 600 and 550 Voyager and the 120 Indy. Yup, 10 different models with a couple of graphics variations. I believe the Indy lineup offers a very good trail and even off trail package that is crazy fun and keeps the price out of the stratosphere. Yeah, is the Rush a better trail package for example, probably, but if you spend a couple of days on an Indy 800 SP I doubt you will find yourself wanting for fun. Speaking of the Rush lineup, we still think this is likely at the top of trail performance class. For 2014 the Rush PRO-R is available with either a 600 or 800 power plant and continues its great performance. If you want the top of the line Polaris trail weapon, the Rush PRO-R remains your choice. 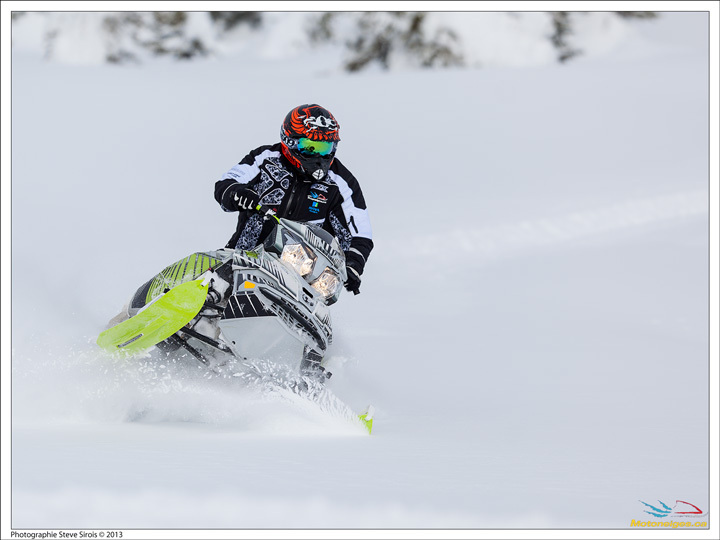 Minor tweaks and improvements come in the rest of the Polaris lineup. A note to the mountain riders, for 2014 Polaris has tweaked the QuickDrive system. 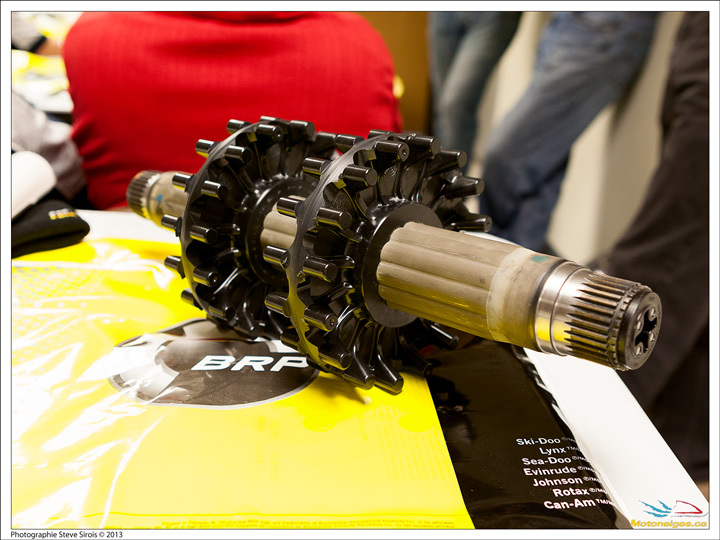 New, better tolerance drive shaft and gears along with a redesigned belt increase durability by 40% and the reinforcing collar that was an early season addition to the 2013 drive shaft is standard on all 2014 Pros. The official RMK lineup includes 600 and 800 based Pro and non-Pro offerings. 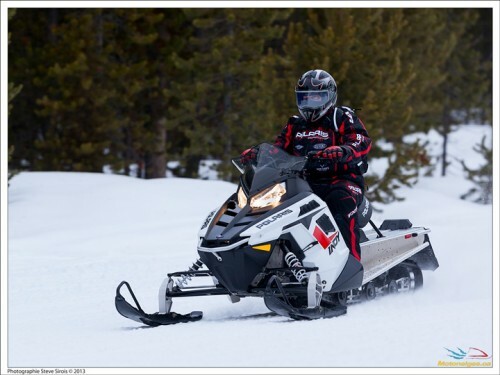 The 600RMK 144 is the lowest priced option at an MSRP of $9,899. Tough to think of that as an entry level sled but as I hinted at above, if you are looking for a sled for your teenager or other new rider you should look at the Indy 550 144. It has a coil over rear suspension, PRO-RIDE seat, CVTech clutches and a 144×1.35” track and an MSRP of $6,999. Yeah, ok, so for 2014 2 big pieces of news come out of the Cat camp. The partnership with Yamaha and the new, Cat designed and built, 600 2stroke twin. I’m going to make you read down further to hear about the results of the Yamaha/Arctic Cat partnership as I’m going to cover the fruits of it in the Yamaha section. Suffice it to say that the Yamaha power plant equipped Cat’s are designated with the 7000 series designation and that motor really is way better than the old Cat 4 stroke. It also is not available in the mountain lineup in case you are wondering. So it’s no secret that Arctic Cat has been partnered with Suzuki for many years on their motors. It is also no secret that those motors have been some of the best performing slugs available in the market. 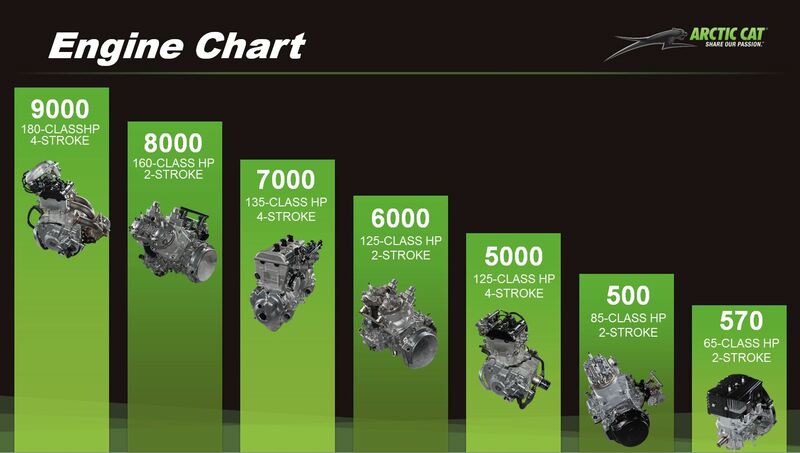 For 2014 we continue to have the 800 2 stroke and the 1100 4 stroke in the Cat lineup. But the Suzuki partnership is winding down and Arctic Cat has put a huge effort and commitment into developing their own clean 2stroke motors. The first fruit of that work is the new 6000 C-TEC2. 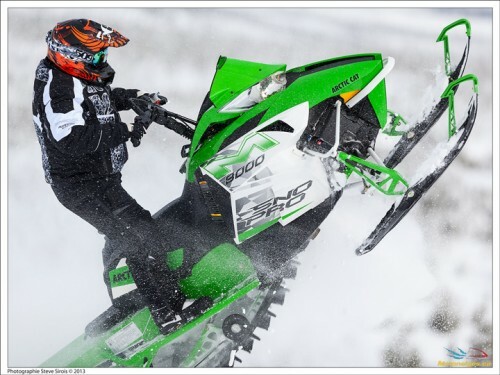 For 2014 Arctic Cat has gone back to their old school monikers using the thousand series designations. The 600 cc motor is the 6000 series and we get it in the ZR 6000 El Tigre and El Tigre ES models. 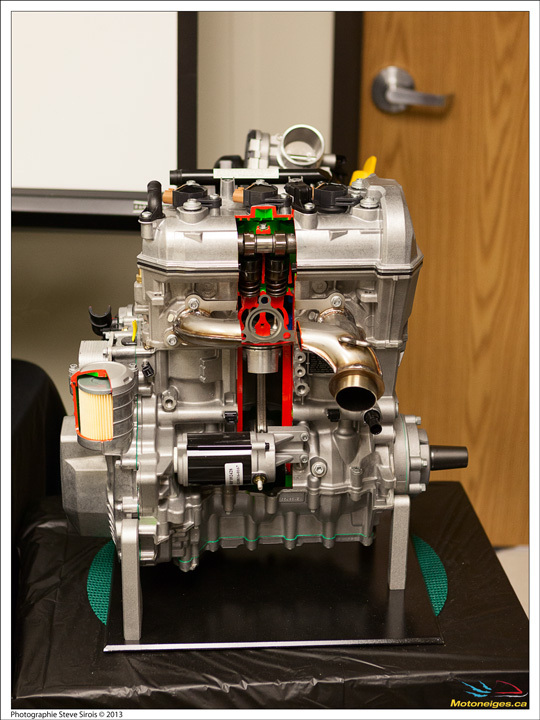 The 600 motor is a Dual Stage Injection (DSI) motor with an electronic oil pump that is computer controlled. Arctic Cat says it delivers 123hp and it does come with engine reverse. The DSI designation is for the unique way that the fuel is injected through the side of the cylinder. 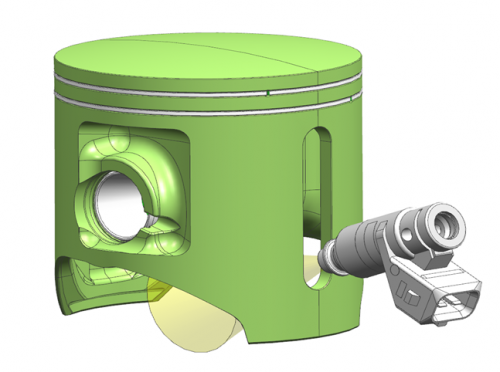 It injects into the combustion area and then as RPM increases also through a ‘window’ in the piston into the wrist pin bearing location. Also unique to the Cat motor is that the oil is injected into the fuel rail so an oil/gas mix is injected offering lube for parts like the wrist pin bearing. We are pretty excited about this new motor as is Cat. The El Tigres we rode felt comparable to the old Suzuki 600 machines. Start-up smoke is noticeably reduced on the new motor because of some changes to how the oil is mixed and injected. 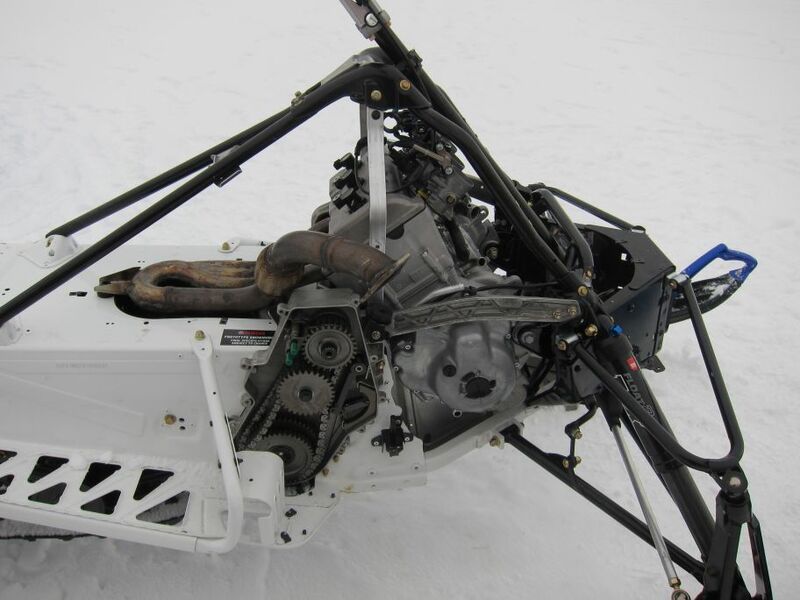 Now we look forward to expanded use of the new motor across the lineup and into the mountain sleds. The Thief River Falls crew hasn’t spent all their time on just the new motor. For 2014 the M sleds get a new seat and all of them are equipped with the short heat exchanger that has been on the HCR. Those changes combine for a weight drop of 18lbs which can be felt in how the sled moves through the deep snow compared to last year’s model. 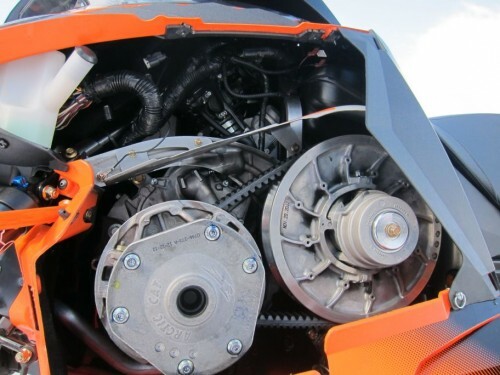 Also the drive system on the higher hp sleds get improvements like heat treated clutch sheaves, improved bearings in the clutches, deep fins on the driven clutch to move air along with some ducting changes and the 800cc models get a new 084 belt. All of which should improve belt life. 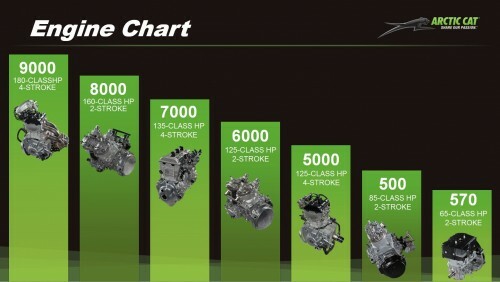 Below is a little engine chart to help you understand how the motor platforms and ratings relate to each other and the new thousands designations. The 7000 is the Yamaha motor for reference. Yeah, I know, you want to know all about the new Viper. I would be kidding you if I told you there wasn’t a certain buzz around this partnership at SnowShoot. Lots of questions and rumors have been flying around about “is this the beginning of a merger” or “is this the end of one or the other”. Well, from what I saw at SnowShoot the answer to that is an emphatic “No”. The Yamaha camp is understandably excited about the new Viper and they should be. I haven’t been a fan of the Nytro and from the moment I swung on to the Viper I had a smile on my face. The Arctic Cat chassis is a very nice unit and putting the butter smooth Yamaha triple in it is one of those things that makes you say “Ahhhh”. Now let’s briefly talk logistics. 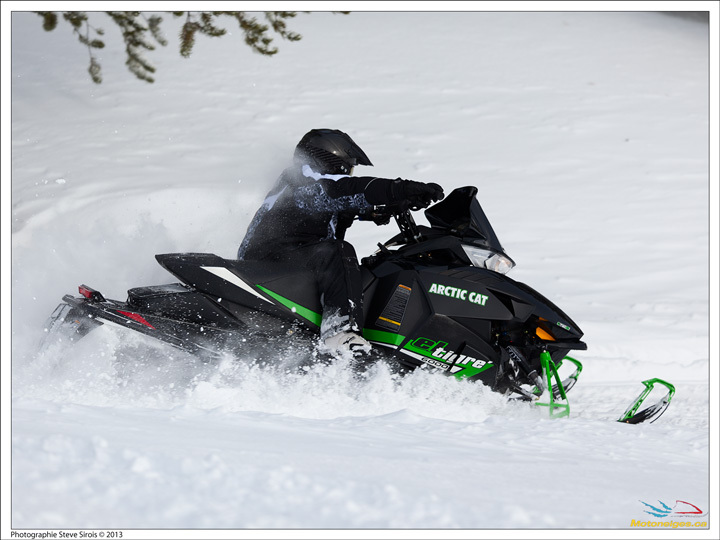 This new sled gives Arctic Cat a great 4stroke motor. The non-turbo 1100 Suzuki power plant has always left me wanting more. The Genesis 4stroke is very likely the best in its category so no more wanting more on my part. For Yamaha, they get a brand new sled, the Viper, that provides the Yamaha faithful with a great motor in a great chassis. What’s not to like? Yamaha and Cat explained that the sleds will be built by Cat in their production facility. The 2 sleds are identical except for some cosmetics and clutching. Cat will use their own clutches, Yamaha will use their own. We rode the 2 sleds side by side and top end speed is identical on the 2 sleds. The Cat has slightly higher cruising RPM and feels a bit quicker out of the hole but the Yamaha catches up quickly and they pull side by side to the top end. Now, do NOT read much into my comments on the clutching. We rode pre-release sleds still going through refinements so final calibration will likely be different. 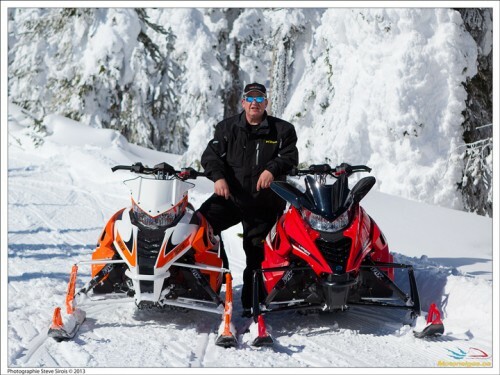 My recommendation, find a good dealer, either Cat or Yamaha, and buy the sled you like the best of the 2. The Viper comes in 5 different models including a Crossover version. I will say this, the production of these sleds is going to be limited and pre-release demand from the Yamaha dealers is running very high. So if you want one, get to your dealer and get your down payment made so that you have one reserved. I’m betting they will be pretty scarce in the fall. Also new for 2014 from Yamaha is the addition of the Phazer XTX to the Crossover segment. Basically take the kick-in-the-pants fun Phazer and put the new Camoplast Freeride 14x144x1.5 track under it and Tuner Duel Keel skis and you get a fun crossover sled that matches what you know about the other Phazers. One final note on Yamaha. The Yamaha team was very eager to let us know that they are recommitted to the future in the snowmobile business. 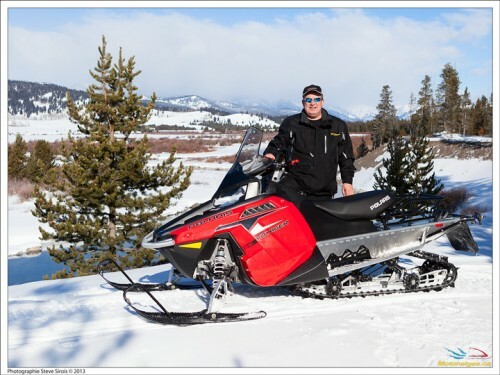 Yamaha corporate has committed to releasing 5 new models over the next 5 years and has committed expanded resources to the snowmobile business. I’ve been around the Yamaha snowmobile guys for several years and I haven’t seen them this excited in a long time… they should be. So that is a not so brief look into what we got to see and ride at SnowShoot 2014. We’ll be providing expanded and additional information as we move through spring and summer and in to next snowmobile season.